Not content with making a name for himself as an actor, in 2014 Rakshit Shetty turned writer and director with his foray into neo-noir crime drama in the excellent Ulidavaru Kandanthe. The English translation of the title is “as seen by the rest”, which refers to an incident seen from a number of different viewpoints that makes up the story of the film. Except it’s not quite as simple as that since the incident itself isn’t revealed until near the end, and even then, it’s not clearly defined. The inspirations are obvious, from Pulp Fiction to Sin City and many more gangster films in between, but it’s the way that Rakshit Shetty has (almost) seamlessly introduced a Rashomon style plot into a very Indian scenario that makes Ulidavaru Kandanthe an instant classic of the new-wave sweeping Kannada cinema. The film takes the form of chapters based on a series of newspaper articles being written by Regina (Sheetal Shetty) where each interview she conducts gradually reveals more information about the characters and the incident itself. The plot revolves round an unseen MacGuffin that’s stolen by one of the main characters, although to be fair the entire incident is itself a MacGuffin since it’s the characters themselves and the random details of their lives that are the real focus of the story. As Regina interviews the people who were peripherally involved in the incident, we meet a cashew nut seller, a tiger man, a young boy and various gangsters who all have their own views of what occurred on the day in question. It all starts with an old story about 12-year-old Richi who stabbed another boy to death 15 years ago in defence of his friend Raghu. Richi was sent to a remand home for 8 years while Raghu disappeared, but one Krishna Janmaashtami, Raghu comes back. The story unfolds in a non-linear fashion as each interviewee adds their perception of events. However, rather than just seeing a particular day, what Rakshit Shetty does is show the usual day-to-day events for that person going about their normal life. As far as the action goes, it’s the interactions with key players that inform us as to each major character’s role in subsequent events, but what we really get is an idea of the characters, their thoughts and beliefs and their own impressions of the people involved in the incident. This is partly why the film is so intriguing, as there is no clear-cut description of what actually happened on the fateful day. All we have are impressions, and eye witness accounts of parts of the day, but no-one knows exactly what happened and as the audience we are left unsure as to which version we should trust. A number of events are shown more than once from different viewpoints, and the more times I watch the film, these repeated scenes throw up more and more questions! I love that my opinion changes slightly each time depending on whose testimony I decide to trust and that I still want to re-watch the film to see if I can spot any other clues. In fact, it’s not until the second watch that much of the film does start to become clear, and once the outcome is known, it’s possible to pick out foreshadowing and significant dialogue that seemed totally innocuous the first-time round. It’s clever, but not so clever that the film is baffling first time round. It’s more that it becomes richer and more layered with subsequent viewings, and the subtleties of the writing are more easily seen. The performances too are excellent and contribute to the film’s appeal. Rishab Shetty’s Raghu is somewhat subdued, but then he has escaped Bombay after stealing from his smuggling gang in a stark sequence very reminiscent of Frank Miller’s Sin City. His need to lie-low but desire to contact his mother are well portrayed and in the reunion scenes he is appropriately hesitant and unsure. Tara as Raghu’s mother Ratnakka is outstanding when she meets her son again after 15 years, but she is just as good when gossiping with her friends or selling fish around Malpe. Ratnakka’s story is a short film in its own right, and it allows us to fully appreciate her character and understand her reactions. Not that these are anything beyond what is expected – even down to the usual motherly insistence that her son have something to eat, but throughout Tara conveys Ratnakka’s feelings perfectly and does an excellent job in bringing her character to life. I like the way that Rakshit has given her a life outside of being a mother which gives her character more veracity and empathy. 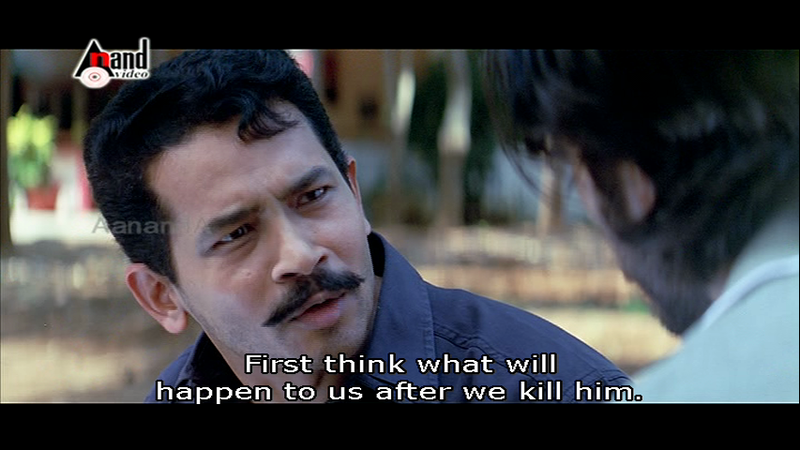 While Raghu has returned in secret, Richie never left Malpe but instead has made a name for himself as an enforcer for local gangster Shankar Poojary (Dinesh Mangalore). 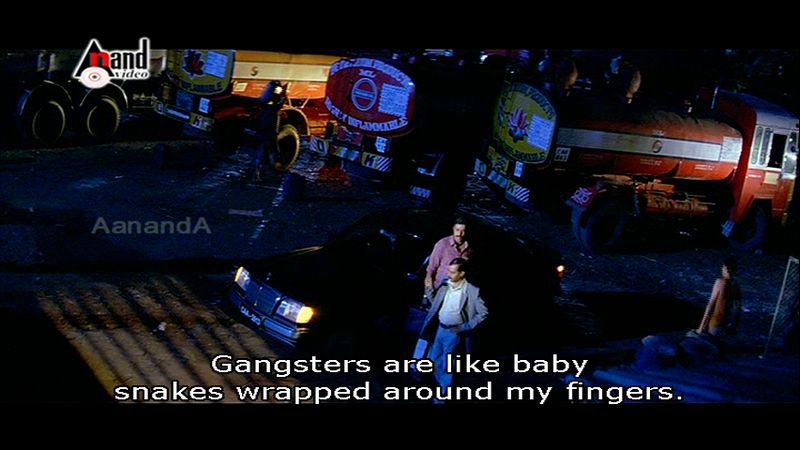 As Shailesha (Raghu Pandeshvar) puts it so succinctly when he meets Raghu in Bombay, Richie is still a bully and Rakshit Shetty plays him with all the swagger and bravado of a typical Hollywood gangster. It’s often a worry when a director plays a pivotal character as there is a tendency for everyone else to get pushed aside, but that’s not the case here. 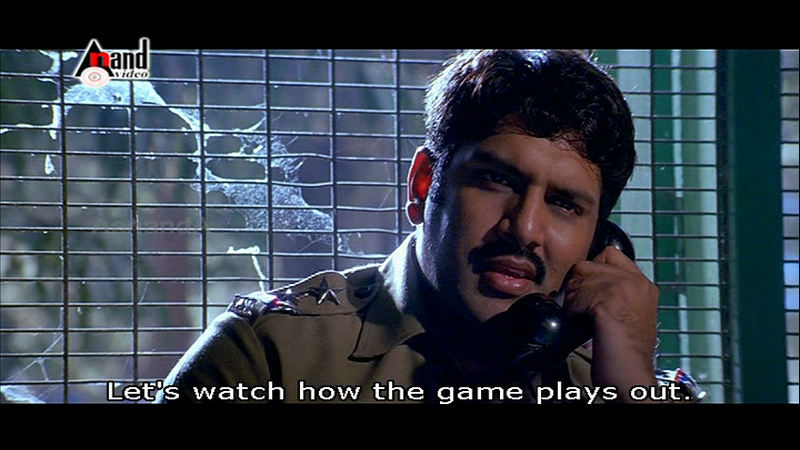 Rakshit is excellent and his Richie slumps into cars, hitches up his stolen police belt and ensures his reputation for violence is upheld while still ensuring that the rest of the cast are just as important to the story. However, Richie is still the centre of events as he interacts with all of ‘the rest’ from the title, including Regina herself who first saw him as a young by at the remand home. 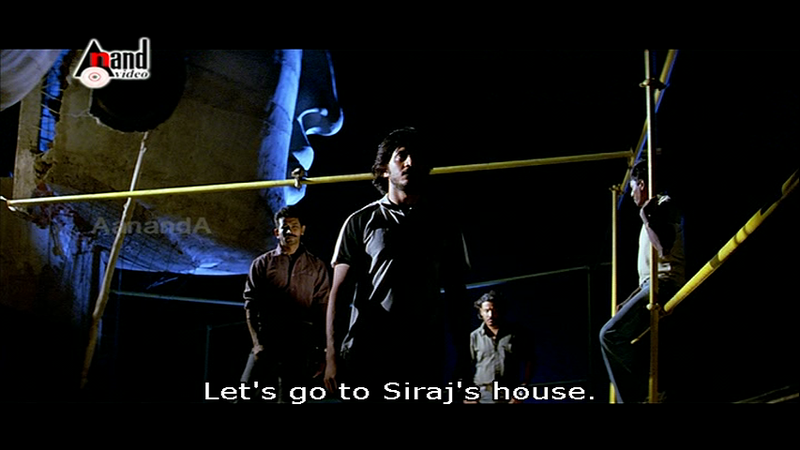 His two sidekicks Dinesha (Pramod Shetty) and Sudhi (Arun Prakash Shetty) have less to do, but each has enough small moments to ensure we have a good idea of their general characters and how they fit into the events of the incident. 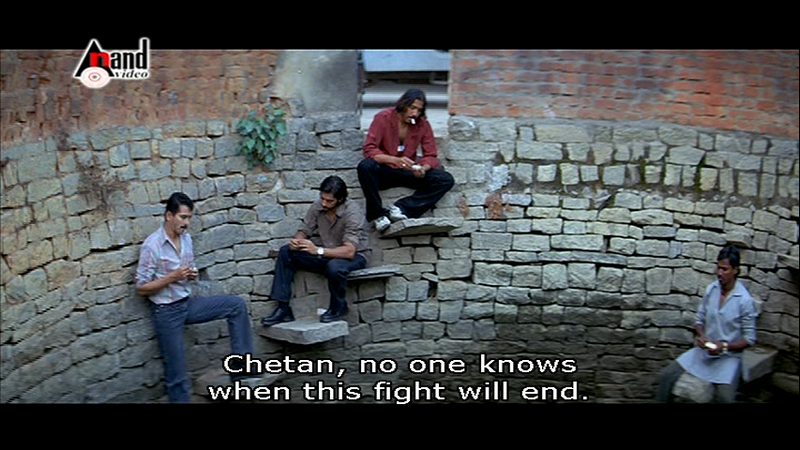 My favourite characters though are Munna (Kishore) and Democracy (Master Sohan) who both have significant roles to play in the events of the day. Munna works on the boats as a mechanic, although he gets roped in to painting tigers as apparently that’s very similar to painting boats! Munna spends most of his afternoons following fish seller Sharada (Yagna Shetty) with whom he has fallen hopelessly in love. However, Munna never approaches her and is content to sit behind Sharada on the beach and follow along behind as she walks along the road. His romance adds a lighter note to the film, as does the character of Democracy and his friends who bring energy and life into the film. I did mention tiger painting, and as part of the festival, one of the other main characters, Balu (Achyuth Kumar) is dancing as one of the tiger men. Achyuth is excellent in his role and the ambiguity of his character is one of the clever touches that Rakshit Shetty has added in to make the story even more captivating. 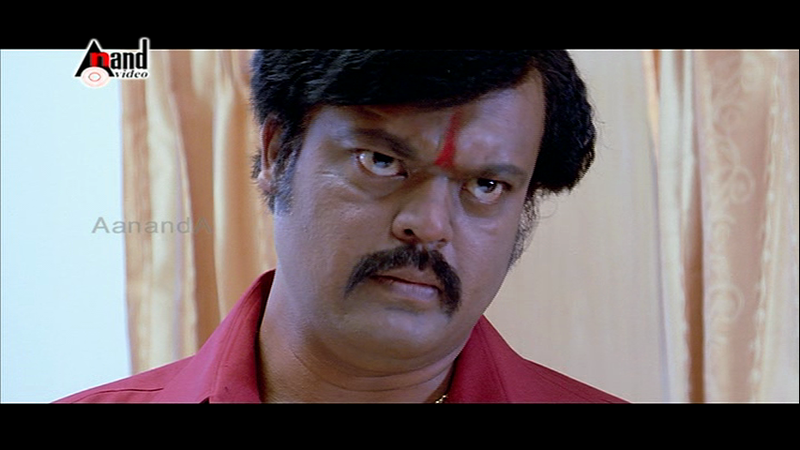 Making Balu a tiger man was inspired and along with the Yakshagana drama ensures the film retains a uniquely South Indian flavour while incorporating many Hollywood themes. My only issue with the film is that Rakshit Shetty tries to tie everything up neatly by linking events in Malpe to the item stolen by Raghu. I don’t think this works as well and almost seems superfluous given that it’s ultimately not as important as the characters themselves. However, that’s a small quibble and given how much I enjoyed the rest of the film, I’m happy to ignore the unrealistic coincidences and concentrate instead on the characterisations, dialogue and wonderful soundtrack. 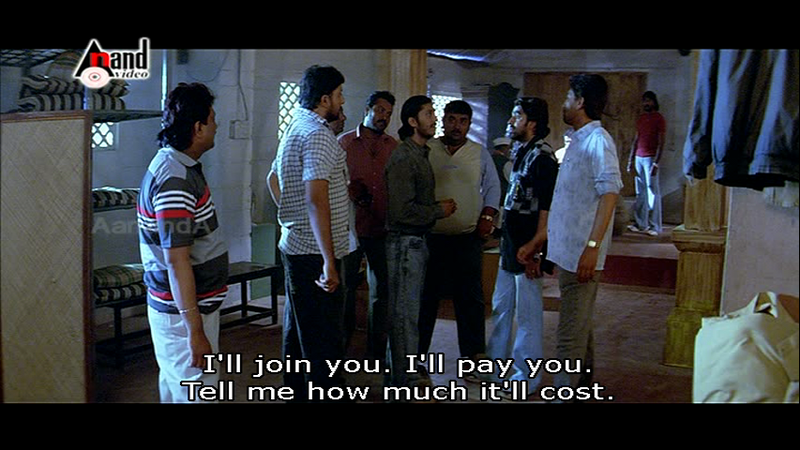 It took me a while to track down a copy of Ulidavaru Kandanthe with English subtitles but it was definitely well worth the wait. This style of neo-noir may not be to everyone’s taste but for fans of the genre this is an excellent début from Rakshit Shetty and one I highly recommend. 5 stars!